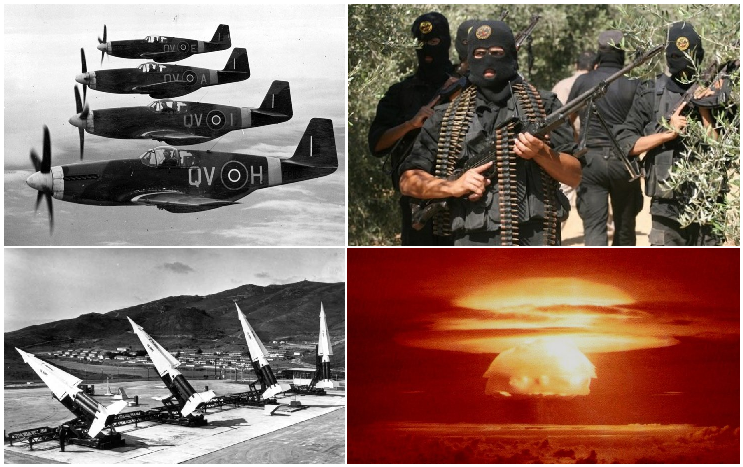 Now that it is 2014 the year will unfold with a series of remarkable 100 year anniversaries as we look retrospectively at the events that led to the First World War — the first global industrialized war, and one of the most traumatic events of the twentieth century, or of any century. There were industrialized wars before WWI — the Russo-Japanese War — and there were global wars before WWI — the Seven Years’ War — but WWI as the first global industrialized war introduced several discontinuities into history that continue to shape us today. The Second World War involved a greater number of casualties and more destructive force, but it was the First World War that decisively cut us off from our past and marked our full transition from agrarian-ecclesiastical civilization to industrial-technological civilization. While the anniversary of a conflict is a pseudo-event, in so far as it prompts reflection it does not have to be merely an empty pseudo-event, although a forced search for parallels is likely to be more misleading than enlightening. Perhaps it is inevitable that such comparisons will be made. An article in The Economist discussed the parallels between 1914 and 2014, The first world war — Look back with angst: A century on, there are uncomfortable parallels with the era that led to the outbreak of the first world war. Is this a helpful exercise? Or is the search for historical parallels a kind of pseudo-history that emerges from pseudo-events? Industrialized warfare is warfare driven by the STEM cycle, with the additional incentive of an existential threat to spur the rate of innovation and to shorten the time lag between scientific innovation and technological application. In short, industrialized warfare is the whole of industrial-technological civilization in miniature, escalated, accelerated, and focused on some particular conflict that has no intrinsic relation to the ways and means employed to wage the struggle. Industrialized warfare has a distinctive character. In the warfare of agrarian-ecclesiastical civilization, hostilities often had to yield to the agricultural calendar. Wars were fought in the summer; those pressed into service, if not released at harvest time, would desert in order to harvest their crops — if they did not, they would starve. No major engagements could take place in the winter because of the lack of mechanized transportation. In the spring, as in the fall, the mass of the populace had to plow and plant. Only a small class of professional warriors could devote themselves to a career of arms and could fight year-round. Industrialized warfare is no respecter of seasons; men can be taken by train into battle under inclement weather conditions (as they were in WWI)), and supplied in the field by transportation and food preservation technologies. Technological changes were matched by social changes; the rigid and hierarchical class structure gave way to a democratic and egalitarian ideal that was exapted by newly emergent nation-states in the form of enlightenment universalism that popularized the notion of every man a soldier. Industrialized warfare is mass war, fought by mass man; it is the warfare that emerges from the anonymization of killing. It is the anonymous and mass nature of industrialized warfare that makes it particularly absurd and senseless, as the individual soldier is no longer a heroic figure, but, like a worker in a vast industry, the soldier is merely a cog in a gigantic machine. The long term causes of World War One include the development of industrial-technological civilization itself, and the application of industrial technologies to warfighting, as well as the struggle between developing powers within the regions where the events of the industrial revolution had transformed the life of the people most rapidly and drastically. Slightly less long term as causes are historical forces including the rivalry of France, Germany, and Russia for dominance of the Eurasian landmass, with Britain serving as the “off shore balancer” for balance of power politics. The longer of the long term causes stretch back to the origins of civilization, while the shorter of the long term causes shade imperceptibly into short term causes. Short term causes of World War One include the arms race in continental Europe (including the naval arms race to build Dreadnaught class battleships), the network of secret alliances among the major powers, the aftermath of the Franco-Prussian war and the professionalization of the German General staff, with its master plan for war meticulously crafted year after year, the decline of the Hapsburg monarchy and the increasingly restive populations of subject territories, not only in Hapsburg domains but also within the Ottoman Empire, the “Sick Man of Europe.” With Hapsburg and Ottoman power in decline, and ethnic populations newly conscious of themselves as potential political communities, therefore clamoring to fill the gradually growing power vacuum, there were numerous European dyads across which war could break out given the proper trigger and a failure to contain escalation. The trigger for World War One is one of the purest examples of a triggering event in history: the assassination of the Archduke Franz Ferdinand and his wife, Sophie, Duchess of Hohenberg, by Gavrilo Princip in the streets of Sarajevo on 28 June 1914. Once the shots were fired and the Duke and Duchess were dead, it was only a matter of repeated diplomatic miscalculations (in an atmosphere of universal preparation for a European-wide war) that escalated the murder into an international incident, the international incident into an armed conflict, and an armed conflict into war between the major European powers and eventually into a global conflagration. Different triggers might have resulted in different details of the world’s first global industrialized war, and different outcomes as well, but that the newly industrialized powers with their new industrialized weapons systems would not decline a test of their newly found powers is as close to inevitable as anything that has transpired in human history (while still not rising to the level of inevitability that coincides with necessity). Europe had been preparing for a war for a generation, since the end of the Franco-Prussian war. The increasing wealth due to increasing industrialization led many to interpret nineteenth century history in terms of continual progress, but the military planners never lost sight of preparations for war. In France, the loss of Alsace-Lorraine was captured in the phrase, “Think of it always, speak of it never.” With planning for war solidly in place, only the trigger was left to chance. For the First World War to have been significantly different, the short term causes would have had to have been significantly different. And for the First World War to have been a profoundly different conflict than in fact it was, the long term causes wold have had to have been different. With long term and short term causes in place, the structure of the war was largely shaped before it began. As we all know, the First World War was followed by an armistice of twenty years (although the armistice was called a “peace”) as a new generation prepared for a new war, and when the next war broke out in 1939 it spiraled into the most destructive armed conflict in human history. The whole development of the twentieth century up to 1945 may be considered one long escalation of industrialized warfare. After that time, European multi-polarity was replaced by the Cold War dyad, which meant that major wars could only break out across this single power dyad, which limited the triggers that could come into play. The effect of stalling major industrialized conflicts led to what I have called the devolution of warfare, allowing human beings to continue the fighting and killing that they love without triggering a catastrophic nuclear exchange that would bring the fun to an end for everyone. We are still today, even after the termination of the Cold War dyad and the emergence of an ill-defined multi-polarity, living with the the devolution of warfare that has bequeathed to us multiple low-level asymmetrical conflicts around the globe. The very idea of peer-to-peer conflict between major industrialized powers seems distant and unreal. That complacency may be a vulnerability that allows miscalculation to escalate, but what has permanently changed in human history — what Karl Jaspers called “the new fact” — is the availability of nuclear weapons that constitute an existential threat to civilization. This existential threat is the counter-veiling force to rising complacency. Will the Pacific Ocean be the theater of the next global industrial war? The First World War, although global, was focused on Europe; the Second World War, while triggered in Europe, was not centered on Europe: North Africa, Southeast Asia, East Asia, and especially the Pacific were major theaters of conflict. As the focus of global attention continues its gradual shift from the older and mature industrialized economies of Europe, which have bordered on the Atlantic Ocean and which grew in conjunction with the growing economy of North America, to the now mature industrialized economy of North America, which borders on the Pacific Ocean and grows in conjunction with the growing economies of East Asia, world history (in so far as there is any such thing) slowly shifts from the Atlantic basin to the Pacific Basin. Atlanticism becomes more and more an irrelevant relic of the past. 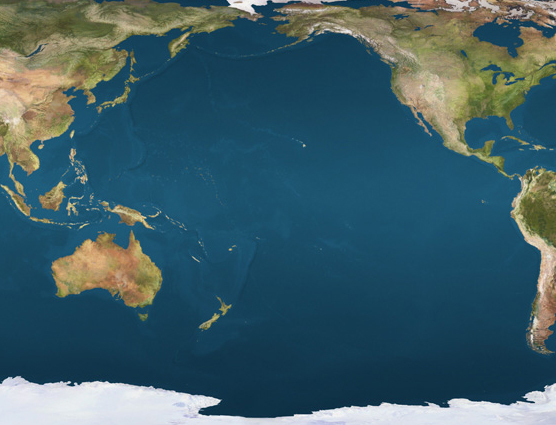 The strategic reality of today is that of a Pacific-centered world order. In deference to this changing strategic reality, the US is seeking to execute a strategic pivot toward the Pacific and to formulate a grand strategy for the Pacific. Will the Pacific see a major conflict in this century? This has become a major concern of strategists and war planners who see the world’s sole superpower — the US — challenged across the Pacific by the rising economic power of China, which may translate its economic power into military power. If the US and China come to engage in open armed conflict, the likely theater will be the Pacific, much as the US and Japan faced each other over the Pacific during the Second World War, which was the only conflict and the only theater to see major aircraft carrier engagements. Since that time, the aircraft carrier has only grown in stature as the premier instrument of force projection in the world today. China has recently begun sea trails of its first aircraft carrier, and while it is a long way from parity with US Naval strength in the Pacific, it is possible that China could begin to invest in a carrier fleet in direct competition with the US, much as the Kaiser sought to create a fleet of Dreadnaught class battleships in direct competition with the Royal Navy. If the twenty-first century is to see a major peer-to-peer industrialized conflict, the long term causes are already in place — the aftermath of the Second World War and the Cold War, and the international system of nation-states that we today take to be the permanent reality of global political order — and only long term efforts could address these long term causes. Any short term causes are now in the process of formation, and we would have a realistic chance of addressing these short term causes of a future war by creating institutions that are resistant to escalation and tolerant of miscalculation. Our agency in these matters — they are ideally within our control — is a hopeful sign of the times; what is not hopeful is that efforts to constitute a world order that is resistant to escalation and tolerant of miscalculation are almost nonexistent. If both short term and long term causes are in place, and no short term or long term initiatives are undertaken to mitigate potential causes for war, then only the trigger of a future global industrialized conflict is left to chance; the war itself is already shaped by the long term and short term causes: the weapons systems already built and fielded, the military doctrine for their employment, the alliance structure within which military action is undertaken, and the political and economic forces that shape alliances that come into play in the event of armed conflict. Another global industrialized conflict is possible, though not likely. No one would say that it is inevitable. Much more likely are regional asymmetrical conflicts scattered across the globe, fought with whatever weapons are ready to hand, and for different reasons. There are historical forces that could escalate regional conflicts into global conflicts, and other forces that work against such an escalation. But the price of such a conflict with twenty-first century weapons would be so high that, even if the likelihood of global industrialized warfare is low, it merits our concern as an existential risk. Since writing the above the BBC has carried Dancing over the edge: Vienna in 1914 by Bethany Bell about the lead up to war in Central Europe, the Financial Times carried the editorial “Reflections on the Great War: World can still draw lessons from the catastrophe of 1914” (Thursday 02 January 2014), and The Independent carried Is it 1914 all over again? We are in danger of repeating the mistakes that started WWI, says a leading historian by Ian Johnston. The BBC has since added La Belle Epoque: Paris 1914 by Hugh Schofield BBC News, Paris, and Berlin 1914: A city of ambition and self-doubt by Stephen Evans BBC News, Berlin, and has a page dedicated to The World War One Centenary. You name the Russo-Japanese war as the first industrialized war. But what about the American Civil War? It seems to me that it was the beginning of modern warfare. Mass produced rifles, railroads, telegraphs, total war (Sherman’s march to the sea) trenches, and cavalry tactics reminiscent of mobile warfare that came later. 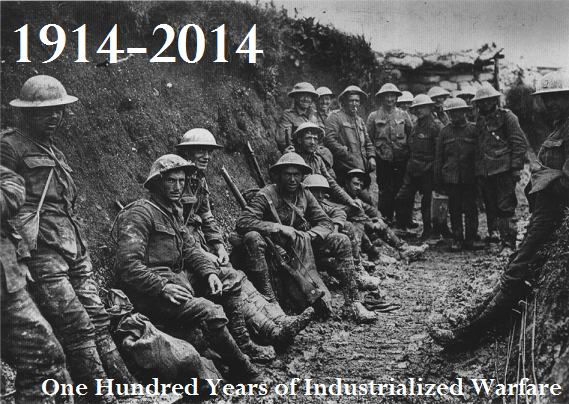 Whether it was a modern or proto-modern war, I see it as the starting point of industrialized warfare. There is a sense in which, yes, the American Civil War — with its Gatling guns, telegraph cables, ironclads, and large-scale engagements — was indeed an earlier industrialized war. Just a few days ago I noticed a book about the Napoleonic wars, The First Total War: Napoleon’s Europe and the Birth of Warfare as We Know It, which characterizes this period as the beginning of modern warfare. Clausewitz learned his trade during the Napoleonic wars. So there is a sense in which identifying the Russo-Japanese War as the first industrialized war is a bit arbitrary. but not entirely arbitrary. Here for the first time we had major engagements on the ground with both sides in possession of true machine guns, and naval engagements between recognizably modern navies. When I wrote this about the Russo-Japanese War I was thinking of it as a prelude to the First World War, which was definitely the first global industrialized war. There is a book by Diana Preston, A Higher Form of Killing: Six Weeks in World War I That Forever Changed the Nature of Warfare, which makes the case for the peculiar modernity of the First World War, and I see the Russo-Japanese War as (part of) the preparation that led to the First World War. Maybe I will adopt your terminology of “proto-modern war” for wars between the industrial revolution and the Russo-Japanese war. I was thinking of the Napoleonic Wars, and debating whether that was the beginning of modern war. The marshaling of resources, use of artillery, faster march tempos, conscription, global scale, etc. have much in common with what would come later. On the other hand, their technology (smoothbore muskets etc.) had more in common with the early modern period. Once again, it’s difficult to draw a dividing line between eras of history. But yes, I would say that “proto-modern” describes 19th century warfare.